The canyon itself can only be seen on the ground with permission from the owners...and that is very hard to get. Yes, I just saw those comments. Near the south fork of Alamo de Cesario Creek. Wow. If this is where it says it is, Texas has the makings of another State or National Park. 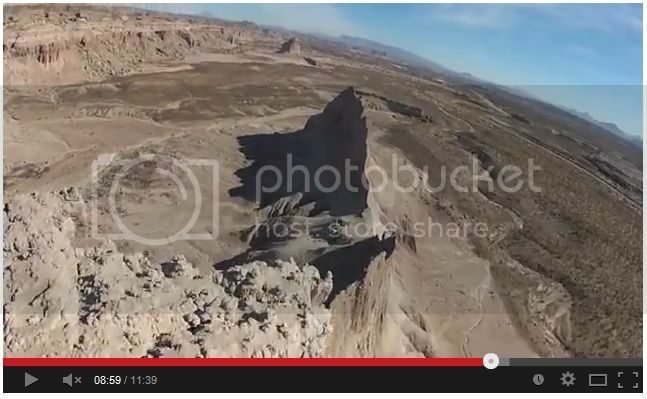 The creator's website says it is near Terlingua. I've only driven Hwy 170 and gone part way into the State Park but geologically this looks completely different from everything else I've seen in the area. These are very mature canyons in horizontally sedimentary rock that doesn't show any uplifting or other influence of volcanic activity like the Chisos and the Solitario does. 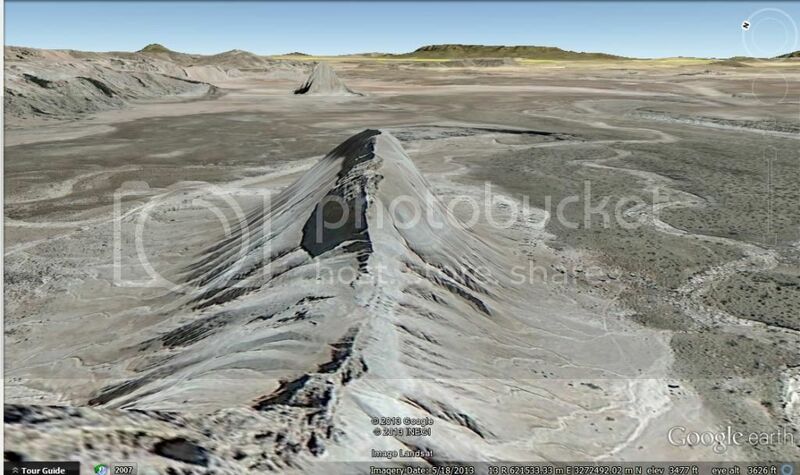 From Google maps, the satellite image I looked at didn't seem to fit this geology either. I wonder if those coordinates are off. The video reminded me a lot of the area up around Palo Duro. ... but geologically this looks completely different from everything else I've seen in the area. I'm pretty sure that is close to the state park! I've matched a shot from the video with google earth. I'll get pics up. That canyon looks incredible! I'd say that's a match. Nestled among The Solitario, Aqua Fria Mountain, and Bandera Mesa. Yeah, this is it for sure. Just past the tower in the distance he flies by a hoodoo looking ridge with a road that goes around it. You can see it perfectly on google earth. It's amazing what this region is capable of! And how many wonderful and secret locations there are! E/NE of Solitario. It's called the Devil's Playground. Rio Aviation Inc. out of Fulcher Field flies you right over the area as part of their scenic flight tour of the BB area. The Dalquest Research Station (Midwestern St U) owns about five sections of this country. I'm told that entire area shown in the video is privately held and virtually inaccessable without owner(s) permission. I've heard different terms over the years. Are y'all talking about the Dalquest Research Site, aka "Devil's Graveyard"? Or are the Devil's Graveyard and the Devil's Playground different locations? This is basically Utah in Texas! Historically, geographically and geologically...Devi ls Graveyard is most correct even though the aerial observers have recently taken to calling it Devil's Playground. Devils Graveyard Geologic Formation is one of those interesting strata that toes the line closely between the end of the Cretaceous and the early Tertiary. Lots of interesting fossil finds.